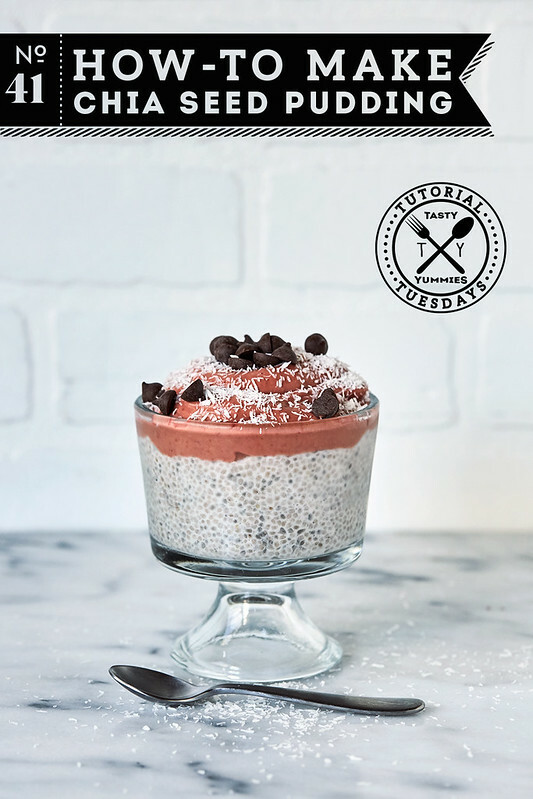 I have been a long time fan of chia seed pudding and it’s become a simple dish that I recommend often as an egg-free, dairy-free snack, breakfast or dessert option to my nutritional clients, especially those I recommend blood sugar control diets or sugar detoxes to. 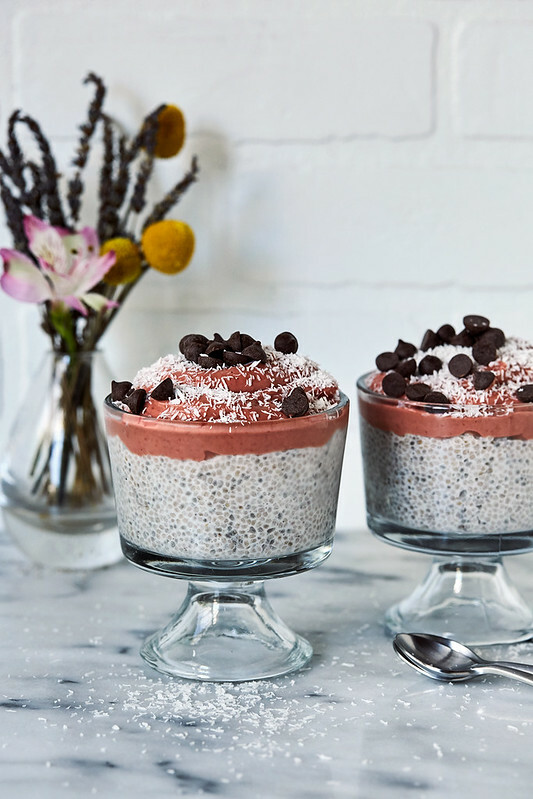 Without sweetener (or sweetened very lightly) chia pudding can be a great, nutrient-dense alternative to the more standard grain and carb-forward breakfasts. 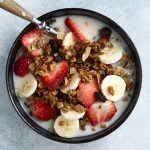 It’s loaded with omega-3 essential fatty acids, fiber, protein, and various micronutrients and chia seeds are also high in calcium, magnesium and phosphorus. Ratio Notes: I prefer a thicker pudding, so I prefer to go with 1 cup non-dairy milk (or any other liquid) to 1/4 cup chia seeds. 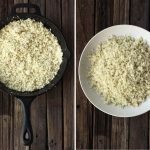 For a slightly thinner consistency try 3 tablespoons of chia seeds instead. 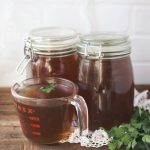 I suggest playing around with your own personal recipe until you find the perfect ratio for you! 1. 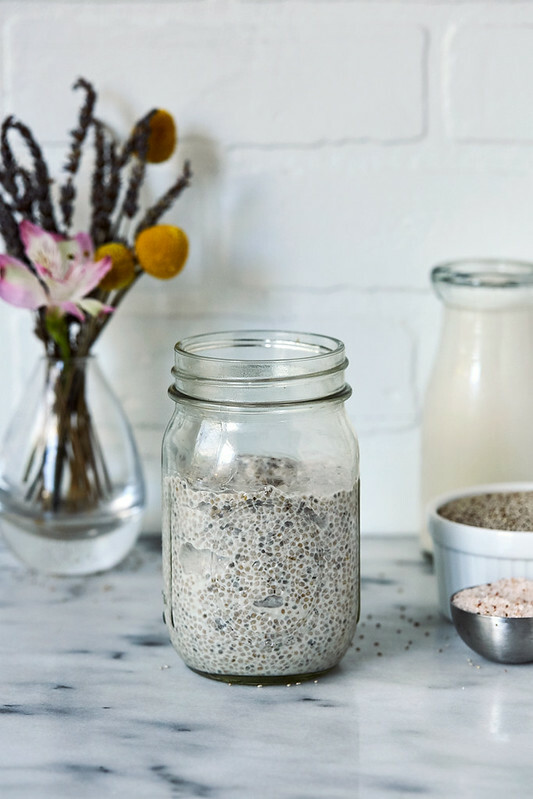 Measure out the chia seeds, non-dairy milk, your sweetener, if using, a pinch of high quality sea salt and any additional flavors or ingredients you are including. 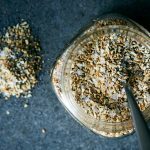 Mix very well (or cover with a tight sealing lid and shake well) and refrigerate for at least 30 minutes or even overnight so the chia seeds absorb the moisture and become thick and gelatinous, like a pudding. 2. Spoon into a glass or parfait cup. 3. Add your favorite toppings and enjoy. 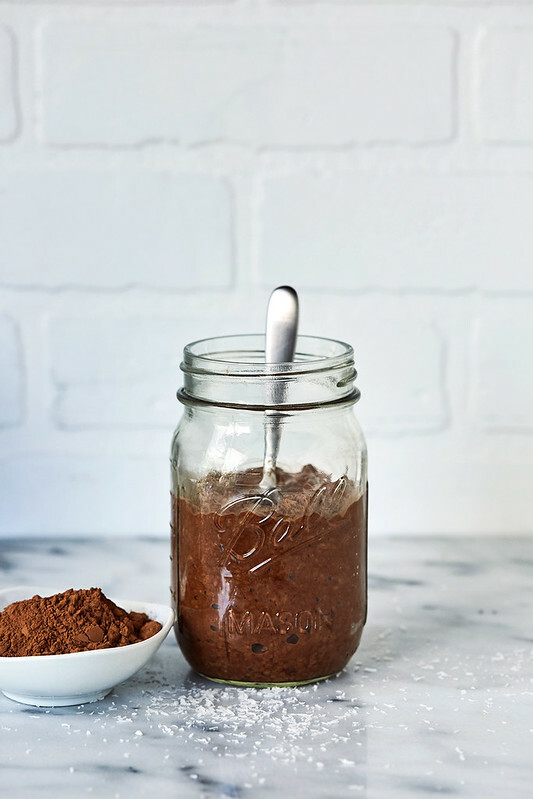 For a simple chocolate chia pudding, add 1 tablespoon of a high-quality raw cacao. To make a creamy raspberry pudding layer as seen in photos, I blend 1 avocado with 1 – 2 cups of fresh raspberries, sweeten to taste with dates, maple or honey, if you’d like. 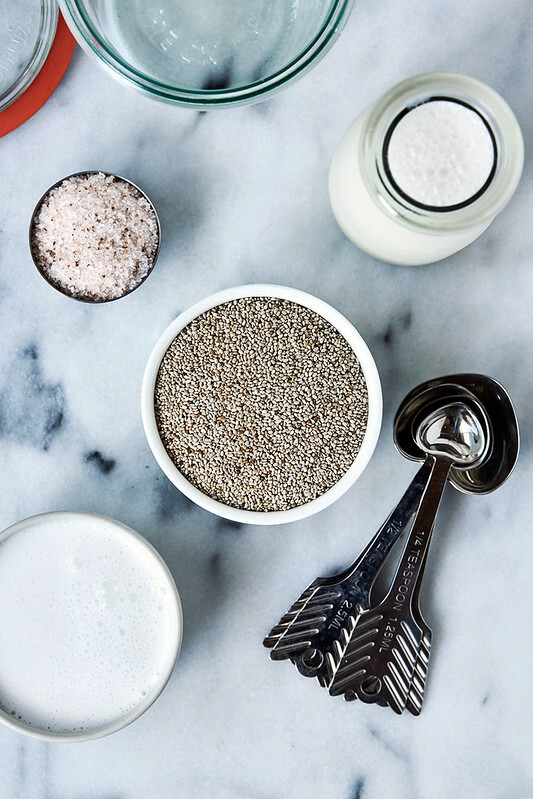 Measure out the chia seeds, non-dairy milk, your sweetener, if using, a pinch of high quality sea salt and any additional flavors or ingredients you are including. Mix very well (or cover with a tight sealing lid and shake well) and refrigerate for at least 30 minutes or even overnight so the chia seeds absorb the moisture and become thick and gelatinous, like a pudding. Spoon into a glass or parfait cup.